What is normally on your mind after a long day at the work place? Maybe you’re thinking about a hot meal, or perhaps day-dreaming about how comfortable your bed is. There are plenty of things to look forward to, and it’s pretty obvious that home carpet cleaning is most likely not one of them. It can be very tempting to overlook cleaning one’s flooring, especially when the hours are long and the breaks are too fast. Stain removal, or water restoration, these terms only put a dent on an otherwise good day. However, there are some important benefits that can come from keeping responsible and cleaning your carpets regularly. It can be tedious and a real chore, but just like any chore it is something you simply need to do. While it might be very tempting to just put it off to the next day or next week and so on, the pros of keeping your flooring well-maintained far outweigh the cons of unwanted responsibilities. The importance of this responsibility actually amplifies if you happen to have children in the house. It becomes almost mandatory to keep the flooring clean as most toddlers will be crawling about, which means that the carpet will need to be as clean as it can possibly be. Otherwise, the bacteria which can build up on a rug that isn’t properly maintained might get the child sick. When a child’s health is at stake, you cannot risk it by skipping on flooring maintenance. Be it expensive Persian rugs or cheaper wool rugs, it will accumulate dirt all the same if you do not properly maintain it. 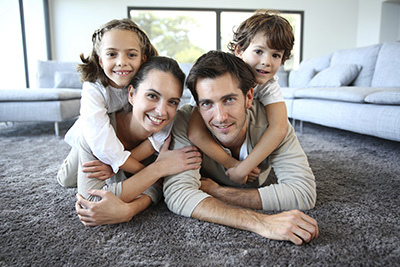 Keeping your carpet clean benefits not only yourself but everyone else who lives with you. You do not even have to work too hard – just a little bit of maintenance can go a very long way if done often.